A woman sued a former Catholic nun Thursday, accusing her of sexual abuse during the 1970s when the plaintiff was a student at a parochial school. The Missouri woman, who is not identified in the suit, alleges the abuse began in 1972 when she was an eighth-grader at Immaculata School in suburban St. Louis. The abuse continued for five years, the suit says. The suit says the sexual encounters took place at the school and adjacent convent, other places in St. Louis, and during a trip to Colorado. The suit says the nun misrepresented herself as providing "emotional and spiritual counseling" to the girl. The former nun, Judith Fisher, who the lawsuit says lives in a St. Louis suburb, did not answer her door when a reporter went to the address Thursday. She also did not immediately return a message left with her former religious community, the Sisters of St. Joseph of Carondelet. Fisher left the community in 1979, a spokeswoman for the Sisters of St. Joseph said. It was unclear late Thursday whether Fisher had retained a lawyer. The plaintiff's lawyer, Patrick Noaker, said his client wanted to remain anonymous to protect her privacy. The plaintiff said in a statement that for three decades she felt compelled to protect the nun's reputation, and her parents "obeyed the same vow of silence" to shield the church from scandal at the request of the parish pastor and the Sisters provincial leader. 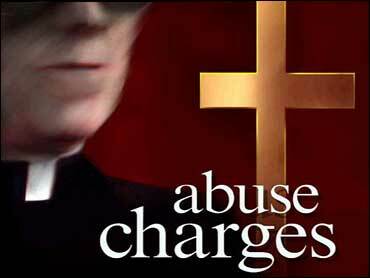 The lawsuit also names the Archdiocese of St. Louis, the Sisters of St. Joseph and the Sisters' St. Louis Province. It accuses them of concealing the nun's misconduct, failing to supervise and investigate her, and not adequately warning the girl. The archdiocese and the Sisters of St. Joseph declined comment on the specifics of the case, saying they hadn't seen the lawsuit. In a statement, the Sisters said they take the allegations seriously and will investigate.